One News Page Australia > News Videos > Beto O'Rourke > Where Does Beto O'Rourke Fit in This Field? Beto O'Rourke has entered the presidential race. 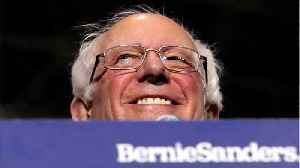 But now that he's in, many are watching to see if he runs as a moderate or progressive. Former Congressman Beto O'Rourke is in. The popular Texas native is joining an already crowded field of candidates. At least a handful more have yet to announce. So how will this Democrat fit into the race? Likely by sticking to his roots. The Texan, who served three terms in Congress, will need to carve out his own space in the field. The field right now is heavily progressive, but if his time in Washington is any indication, O'Rourke may pull his competitors more toward the center. According to Vote View, during his time in office, O'Rourke stood with his party between 93 and 96 percent of the time. That may sound like a lot, but he was actually below the average House Democrat most of the time. He was more liberal than 65 percent of the House during all three terms, but he was more conservative than a majority in his own party. His congressional competitors strike a different tone, for the most part. Elizabeth Warren: she's been the most liberal member of the Senate since she was sworn in. Kamala Harris is more liberal than 97 percent of Democrats in the Senate. Bernie Sanders and Cory Booker hovered around the same number. Amy Klobuchar, who is more conservative than than nearly three-fourths of the party. But that doesn't mean he's even close to a conservative. O'Rourke is pro-choice and has become increasingly more progressive on issues like immigration reform and climate change. He also says he supports the federal legalization of marijuana. During his time in Congress, he pushed his own party to think about their future leadership, backing Congressman Tim Ryan's challenge to Minority Leader Nancy Pelosi in 2016. 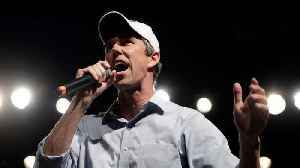 O'Rourke, who lost to Ted Cruz by just 2.6 percent, focused his Senate campaign on progressive issues like immigration, health care and gun rights. While he ran to the left during that race, O'Rourke won't necessarily be viewed as the progressive candidate in this field. 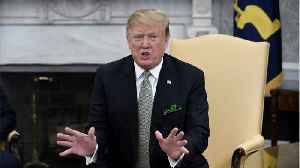 Looking ahead, he is sure to be a fundraising threat. Just after his announcement, Sen.
Kamala Harris sent out a fundraising email. After all, he ran the closest senate race in Texas in 40 years and shattered fundraising records. In just one quarter, he brought in north of $38 million without accepting money from corporate or labor PACs. 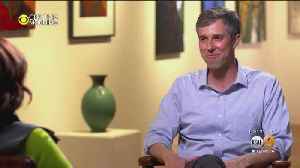 O'Rourke says he plans to travel to many of the areas of Iowa that President Trump won handily and speak with voters there. WASHINGTON (Reuters) - In the crowded field of Democrats jockeying for the party’s 2020 presidential nomination, U.S. 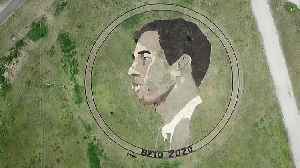 Senator Bernie Sanders has raised more money than his rivals, with more of it..
An artist and Beto O'Rourke fan took his support for the Texas Democratic presidential candidate to a new level in creating a piece of artwork of O'Rourke's face in an Austin, Texas field. 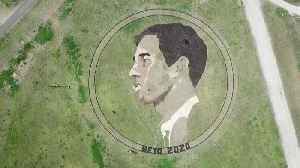 The face of Beto O'Rourke has been temporarily enshrined in a field near the Texas capital as the former Democratic congressman runs for president. 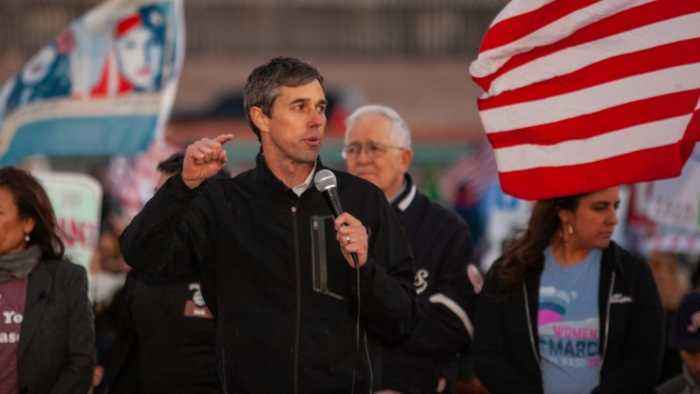 Beto O'Rourke, the latest Democrat to jump into the packed 2020 presidential primary field, has raised a staggering $6.1 million in the first 24 hours of his presidential campaign, joining a list of.. 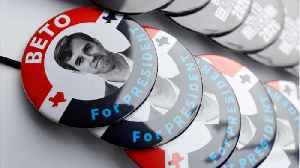 The contours of the Democratic presidential primary came into clearer focus this week with Texan Beto O'Rourke's entry into the race.